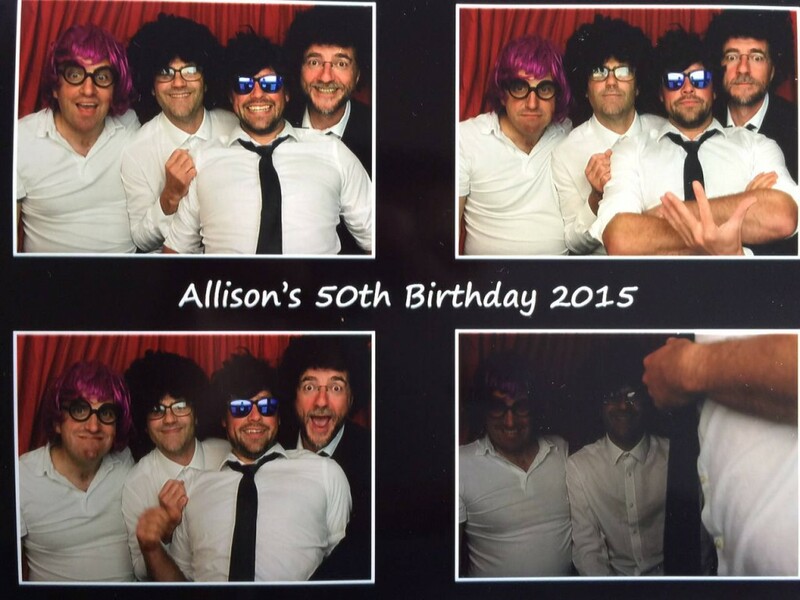 Last Saturday we played at the Eastleach home of Allison for her Birthday – and boy did they party! We arrived, the house looked fabulous, catering supplied by Made By Bob, so we were expecting a moderately relaxed affair with people nipping off at 11 to rescue the babysitter or because they had to get little Johnny to Rugby or Amanda to ballet first thing. Wrong – fast forward through a pint at the Victoria Eastleach, an introductory song by Jules Baskin (who incidentally recorded Mark H many moons ago), an hour set, an hour break, fun in a photo booth, cake, Happy Birthday, another set, jelly vodka, drinks, chat and we find ourselves on the stage again with various singers – Louise and Beatrice come to mind – and the Birthday Girl is all smiles. So a big thank you to Allison and Mike for making us so welcome, to all your friends and family who know just how to party. A great evening and we didn’t get back until 4am. John: That’s ‘cos it’s red wine you… etc’.